What Is It Like To Be An Understudy? Most of us have dreamed about what it must be like to be the star of a show; knowing that almost every night you’ll get to step out onto the stage and perform a leading role. But a show is not a show without the cast and creatives being prepared for anything that could happen, whether it’s catching the flu, twisting an ankle, or getting stuck in a tube strike. Since the show must always go on, an understudy needs to be ready step in. Though they may not be regulars in the limelight, they’re as vital to the show as any star’s name on the marquee, but this year, understudies were the ones making the headlines. 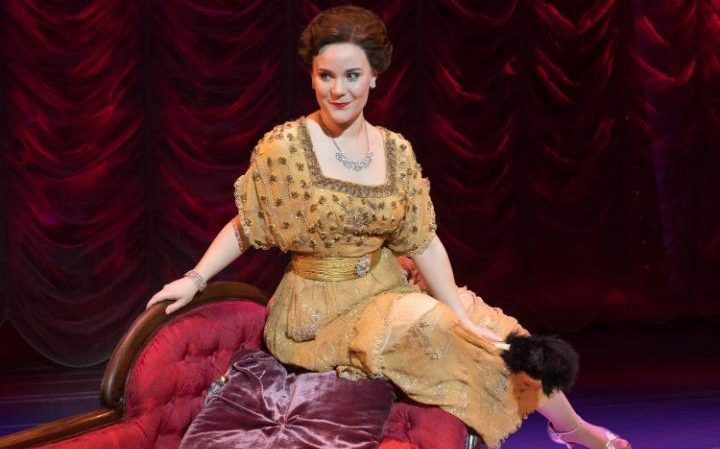 Natasha Barnes stepped in for weeks at a time in Funny Girl when leading lady Sheridan Smith was absent with exhaustion, while Cameron MacKintosh banned understudies from announcing their performance dates. To find out more about being an understudy, we spoke to Natalie Law who is currently in the ensemble of Ink and was covering roles in Murder Ballad at the time of writing. 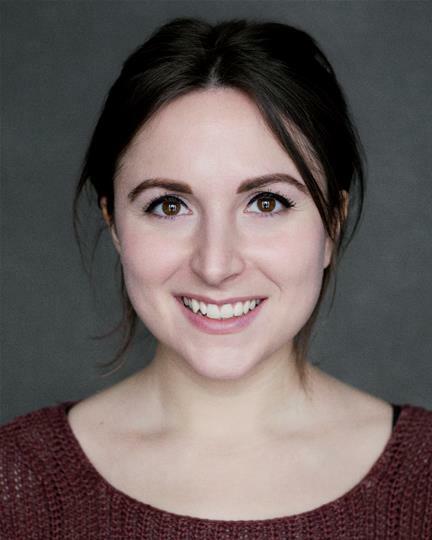 Natalie has a degree in Theatre Studies, studied Musical Theatre and London School of Musical Theatre and completed her MA in Musical Theatre. There are a few different terms that people might not know the difference between when it comes to being an understudy. Can you talk a bit about being an understudy versus a swing and cover? Depending on the show they are, generally speaking, the same thing. If you’re a swing you may be covering a number of roles, usually ensemble or dance roles. An offstage cover is when you only appear on stage for the part you’re covering. If you already play a role and over another, then you’d be an onstage cover. Would you say most actors are offstage covers or onstage? It depends on the show really. If there aren’t as many roles then they’re likely to be offstage covers, because they’ll need someone to cover those chunky main roles. But if it’s a bigger show then you’re likely to be a cover with ensemble roles too. So what is it that an understudy has to do? I was an understudy on the touring production of Beautiful Thing, and for example, on that I was understudying both female lead roles. And I also had an ASM track (Assistant Stage Manager) as well. So, when I wasn’t on for my part, I had some things to do backstage while the show was going on but we were on hand if needed. So what did that mean your responsibilities were? Because I was covering both females roles, obviously your job is to know both of those parts inside out, because there’s a chance you can go on at the drop of a hat. You have to know it and the blocking for each part which means you would shadow the leads when rehearsals are going on. You’ll work a lot with the assistant director when it comes to understudy rehearsals and make sure you’re ready 100%. Generally speaking. You sit in on all of the rehearsals but usually once the show’s up and running there’s time for you and the other understudies to start your separate rehearsals. Photo Credit: Manuel Harlan – Natasha Barnes snatched headlines as Sheridan Smith’s understudy, earning rave reviews for her performance. When you were working on Beautiful Thing, you were ready to on stage at all times as two different parts. Does that feel weird to be ready to walk on stage as one of two characters and you never know which it will be? You do have to just be completely show-ready, but not in makeup. Once there’s been the half-hour call, you pretty much know that you’re not going to be going on. But it does seem like a daunting task at first but it is actually one of the best experiences an actor can have. You learn so much and you can, in my experience, play very contrasting parts. So you kind of get there without knowing how you got there, because you’re so prepared. And it can feel a little like you’ve got this split thing going on in your head. Was there a night when you thought you wouldn’t be going on and then something happened last minute? Yeah there were a couple of moments of illness where I was on standby which means you’ve gone from being prepared to go on, to actually getting into makeup and things. And in some of the bigger shows there are people enough to have multiple covers for multiple roles. Yes sometimes an actor playing role A will be first cover for role B, and another actor might be second cover for role B. Like there can be this whole system of switching if multiple people are sick or something happens. So yeah, show’s are usually very prepared. What’s a typically routine for an understudy? If I was not on that evening, I might have some ASM duties so throughout the show I would work on my track. It might be to pass props to actors, move a set piece or something. If I was on we might have a run in the day or running through scenes one after another, and then just get ready for the show as if I were the regular cast member; hair, makeup and costume. What are the pros and cons of taking on an understudy role? I think there are so many pros. Understudies really do incredible work and you learn so much because you have so much to do. I was very lucky; the cast has of Beautiful Thing helped me so much learning the blocking and props and everything. That also teaches you about how important it is to work together as a team. It’s not just about you and your part. Being part of the rehearsal process is worth it’s weight in gold and actually going on doesn’t become as hugely important. You start to see the bigger picture. I honestly can’t think of any cons. You’re going to be working very hard and I don’t see that as a con. Maybe you don’t always get the time you would like to prepare yourself as a person before you go on, but you just get out there and do it. Would you say it’s an important experience for an actor to have been an understudy? Very much so. You’re playing a long game, like any career. And any experience you can get under your belt, the better. I would always recommend doing it because it’s a massive learning opportunity. And you never know where it’s going to lead. Longevity and creating a body of work that you’re proud of is the goal and learning helps build that.